It was Thanksgiving 2013, and I was just out of grad school. The local gun store was advertising an AR-15 for its Black Friday Sale, and I wanted one. Just to make sure it was a good deal I got Dad to a look at the gun for me. He informed me that this AR-15 was a .223, and not a 5.56 that the military uses. I looked at him very puzzled and asked him to explain. He sighed, then launched into telling me about the complex topic of .223 Rem. vs. 5.56 NATO. At first, I was very irritated at Dad for bringing up such a complex subject when all I wanted to do was buy the AR-15 at that moment. However, I am glad he did tell me. 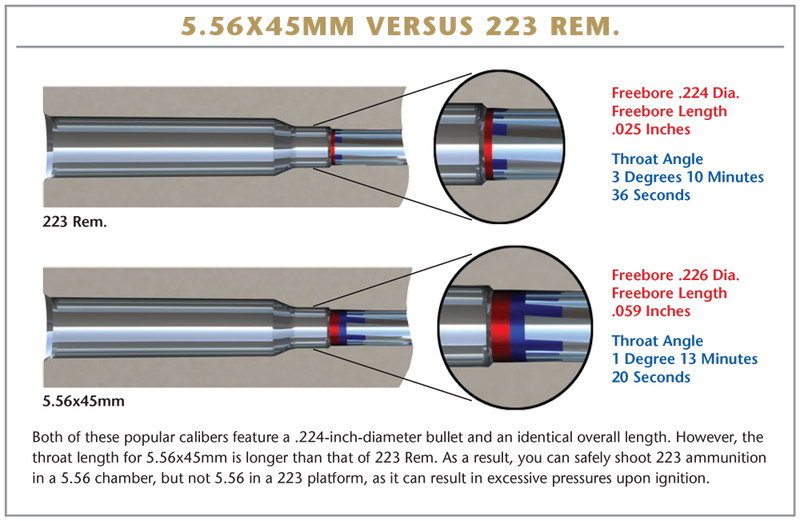 He saved me from making the same mistake so many people have in the past by not knowing the difference between the .223 Rem and 5.56 NATO. For the history buffs out there, check out this snipercountry.com article for a detailed history on this topic. If you put both rounds beside each other, they will look identical because both have almost the same exterior dimensions. Take note that I said nearly the same, and look at the image below. Do you notice any difference? Last article I wrote about Choosing the Best Defensive Handgun Ammo. Now let’s take a look at finding the best self-defense ammo for your AR-15 platform rifle for those of you who consider using one as a defensive firearm. The approved list of 5.56/.223 by Dr. Gray Roberts who is the world’s leading authority on would ballistics, his information is credible. I recommend using barrier blind loads (in particular the Federal Fusion line due to the lower price, availability, and performance is inline with Gold Dot and other LEO bonded .223 rounds) over other types since you don’t know what type of physical environment you might be around when the unexpected happens. Take a look of what kind of damage a .223 (contains graphic contents) round does to the body You won’t see this type of wounds with pistol.